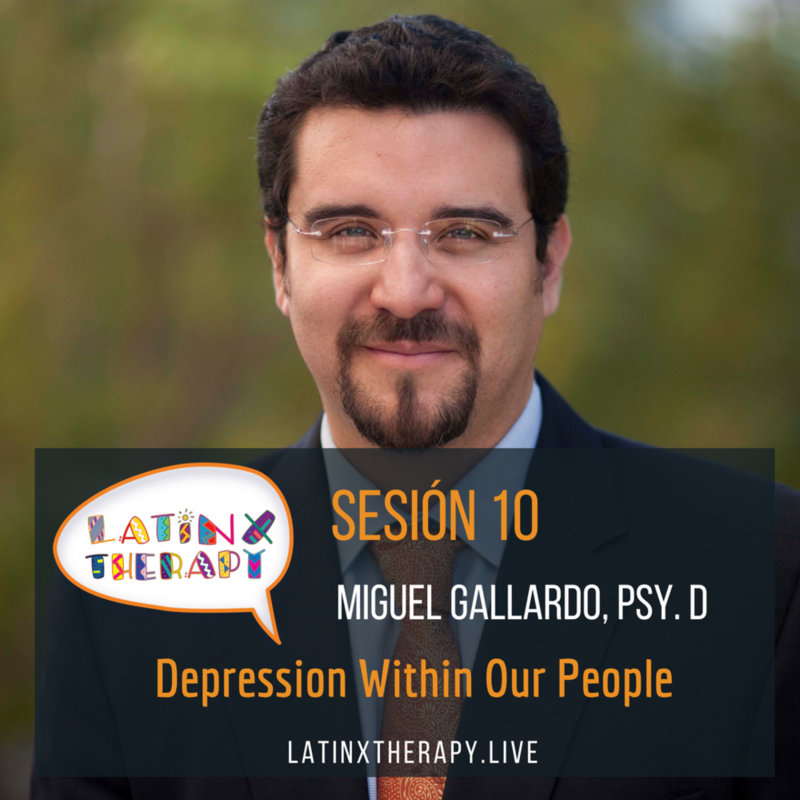 Today I spoke with Dr. Miguel Gallardo from Irvine, CA who shared his experience and wisdom about the spectrum of depression within our culture. We discussed what clinical depression is, sadness vs. depression, common symptoms, ways to help yourself and someone else. Oftentimes, people believe that someone who is happy one day and sad the next day, is manipulative, Dr. Gallardo touches upon this notion! Dr. Gallardo is a Professor of Psychology and Director of Aliento, The Center for Latina/o Communities at Pepperdine University. He is a Clinical Psychologist. He maintains an independent/consultation practice where he conducts therapy, forensic/legal psychological assessments, and consults with organizations and universities on developing culturally responsive systems. He teaches courses on multicultural and social justice, intimate partner violence and professional practice issues. The winner for the T-shirt contest is announced in the outro! Be sure to email your questions to latinxtherapypodcast@gmail.com or send me a "Direct Message" me at any social media site @LatinxTherapy.